Ignite Mentoring is a community based service that provides guidance and encouragement to young people in Wagga Wagga and the South West region of New South Wales. Who are the young people that Anglicare are assisting? Many young people are from vulnerable backgrounds in, or at risk of entering the juvenile justice system. Our mentoring teams recruit and train volunteer mentors from the community so they can guide and champion a young person within the safety of our programs. A volunteer needs to provide compliance documentation and be able to commit to training and weekly or fortnightly mentoring sessions for a minimum of 10 weeks. How successful are the Angicare mentoring programs? Results have been outstanding! By giving hope, guidance, understanding and personalised care to a young person, our programs have seen a virtually zero rate of re-offending. TWO – Held at selected times throughout the year to give participants an insight into programs available, whilst providing information about the roles, responsibility, hints, tips and the mentoring journey. THREE – Apply for a Working with Children & Police Check. Mandatory requirement from the NSW Commission of Children and Young People. FOUR – Attend an interview to access your suitability as a mentor. FIVE – Once checks have been approved you will be matched to a young person. Youth mentor, Steven, knows the power of investing in the lives of young people at risk of becoming offenders. In the Wagga region, around 20 per cent of crime is committed by young people aged between 10 and 18 years of age. But Steve insists that positive reinforcement and guidance are needed rather than hard line punishments. Steven is delighted by Anglicare’s commitment to fund mentoring programs in the Riverina, and wants to see more programs made available. “People are quick to criticise these young people but what people in the community need to do is take responsibility to help them turn their lives around,” he said. Staff member at Anglicare’s Ignite mentoring program, Alarna Thomson, said in the seven months she has worked in the role, not a single teen had re-offended. 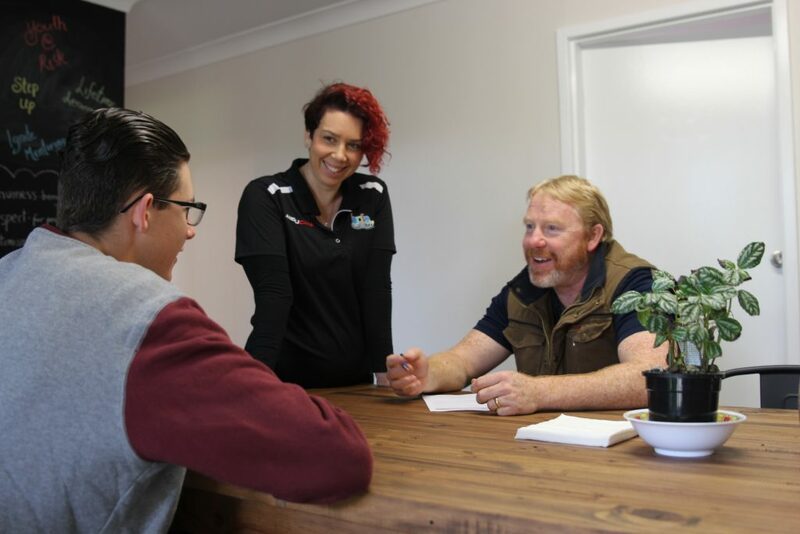 Anglicare’s mentoring programs operate in the Riverina region and include community mentoring for at-risk young people, as well as mentoring for young offenders in the juvenile justice system. Contact us today to find out how you can give a young person hope for the future by becoming a youth mentor.